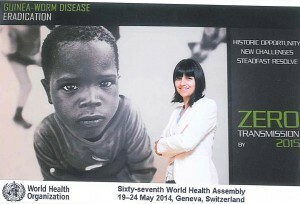 From May 23 to 26 I had the chance to attend the 69th World Health Assembly (WHA). Like two years ago for my first WHA, this week was packed with interesting debates and relevant discussions related to our advocacy on Global Health, Sustainable Development Goals and the 2030 Agenda (SDGs), Research and Innovation for poverty-related and neglected tropical diseases (PRNDs), Women’s, Children’s and adolescents’ health but also nutrition and Anti-microbial resistance (AMR). Although the focus of this year was on different topics, some things remain unchanged at the Palais des Nations. Like two years ago, committee meetings have days of delay, making it impossible to plan your agenda and almost inevitable that you miss some key debates. As I left Geneva on Thursday, discussions on CEWG had just started with the creation of a new drafting group. Campaign was again running to fight against Guinea worm and polio, which still have not been eradicated yet, demonstrating the difficulty of the last mile effort to eradicate PRNDs – see below pictures from two years ago and this year. And peacocks are still making their weird noise around the Palais. However this year was also rich of new developments. This year there was a lot at stake for GH R&D as pointed out by the Global Health Technology Coalition and Geneva Center for Security Policy (GCSP) panel discussion between the follow-up to the CEWG report, AMR, and the blue print on R&D in epidemics. To pick some highlights this year, I would mention access and the issue of delinkage of the costs of the R&D and price of new health solutions. Access has always been discussed at the WHA but this year, a number of side events brought a broader perspective on what accessibility and affordability of medicines mean in practice. If everyone agrees that we desperately need new and improved vaccines, drugs and diagnostics that are of high quality, accessible and affordable, it is more complicated to discuss the practical ways to implement this, especially for PRNDs. As mentioned by David Kaslow, PATH, during the PATH and Medicines for Malaria Venture side event “Access to innovation for all: Is it possible?”, a one-size-fits-all approach will not be able tackle the issue of access. Accessibility is also intrinsically linked with other aspects such as local manufacturing capacities, regulatory framework and health system capacities. Even when there is innovation, often the costs of registering the new device is extremely high and in the absence of regulatory framework, delays can reach up to 4 years. The lack of skills and supporting environment to the development of local manufacturing capabilities in low and middle income countries are also major obstacles. There are definitely improvements to be made. For Suerie Moon, Harvard Kennedy School of Public Health, the model is broken but can be fixed and should be, if we were to achieve Sustainable Development Goals, as well as the Global Convergence. While recognising that improvements are needed, David Reddy, Medicines for Malaria Venture, and Christopher Elias, Bill and Melinda Gates Foundation, also highlighted the key role of current initiatives such as PDPs supporting about 75% of the candidates in the current GH R&D pipeline and stressed the need to maintain these approaches. One thing new is the urgency and political momentum on this, notably with the creation of the UN High level panel on access to medicines, maybe not for the right reason. As pointed out by Herbert Barnard, Ministry of Health of The Netherlands during the side event “Achieving Affordable Access to Health Technologies”: it is a challenge for everyone, no longer only in low and middle income countries also with the rise of AMR. Before 2014 we used to talk about Reproductive, Maternal, New born and Child Health – RMNCH. With the Every Newborn Action plan, the international community’s approach to health took a turn, which was then confirmed in the 2030 Agenda: adolescents’ health needs to be a priority and health should be tackled in a continuum of care. So now we talk about RMNCAH, and a life-course approach. Adolescents are now at the centre of the discussion on the SDGs, as they will be the generation live under the 2030 Agenda and leading its implementation and its follow-up. They are at the core of the new Global Strategy for Women’s, Children’s and Adolescents’ Health 2030 as explained during the side event ‘Survive, Thrive, transform: implementing the Global Strategy for Women’s, Children’s and Adolescents’ Health’. Another revolution is also the key focus on Human Rights and equity. Also announced during the side event, a high level working group has been created by the UN Commissioner on Human rights to look at Human rights in Health with a focus on universal norms and standards, and data on discrimination. Of course, these commitments need to be followed up and this is when the critical role of CSOs in accountability comes into play. 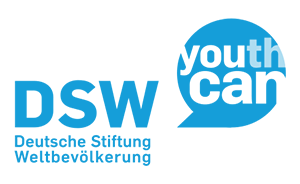 Several groups and platforms form the civil society and with independent bodies have been created such as the Global Dialogue for Citizen-led Accountability for Women’s, Children’s and Adolescents’ Health and a broader advocacy coalition for Universal Health Coverage in partnership with among others, Action for Global Health, World Vision, Global Health Advocates, Global Health Council, CBM and London School for Hygiene and Tropical Medicine, Stop Aids Alliance, Save the Children UK, and Results UK. Within all these debates, CSOs partners, such as IPPF, raise the questions of inclusion of FP/SRHR on different items of the WHA agenda including Health in the 2030 Agenda for Sustainable Development through oral statements.